The perfect shot. If you talk to coffee professionals and experts, this is possible despite being complicated. Even the idea of THE perfect shot has variables. That being the case, lets take a moment and pull apart these words “Perfect Shot”. Perfect. A attribute that is hard to obtain and qualify. Chances are your definition of perfection is different from mine and every person you talk to. Perfection is the pursuit of your whole being without fault or defect. No flaws, no issues- just perfect. Now, don’t get me wrong here. Perfection is something to shoot for because it shows in your work and life. It gives you a sense of validation and expertise that can be needed in various situations. Yet it often leads to some negative expectations and ultimately isolation. Perfection often brings a sense of the elitist mindset that defines who you are or what you. If your actions are not ABOVE anyone else and the definition is cracked in some way, the victim mindset sets in and a slow decline starts that shows itself in negative actions. Its a chase of all things “mine” and gives no wiggle room for error. Rant over – Now lets talk about Perfect in the sense of an espresso. To do this, you need to have an espresso machine that will produce the right amount of pressure. Then fresh roasted coffee that is ground on a fine setting. Add the correct amount of ground coffee into the portafilter (around 14-18 grams. Next, you must tamp it to create a condensed puck. 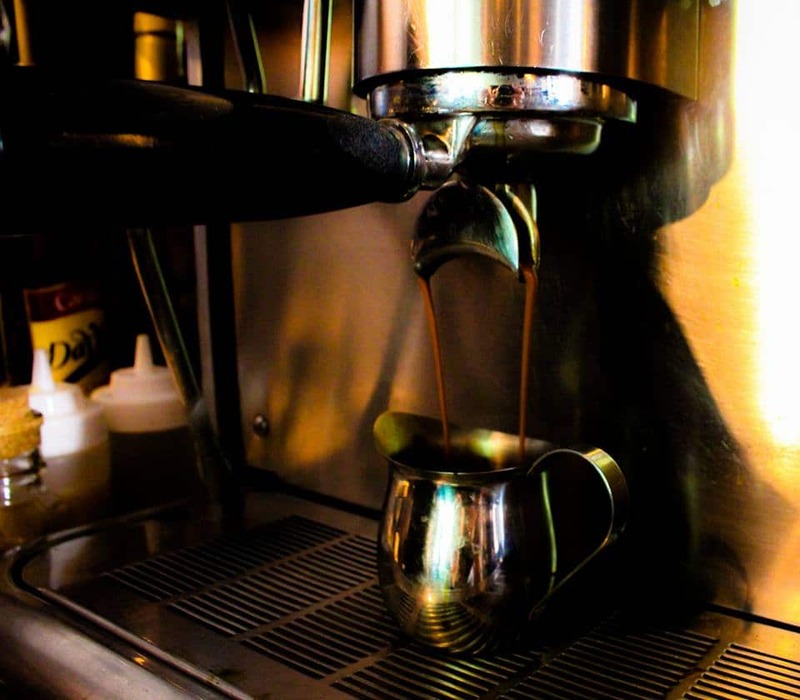 Pulling an espresso shot isn’t hard when you have the right equipment and knowledge. Shot. The coffee is pulled from the espresso machine making a nice “mouse tail stream” to create three distinct layers: Body, Heart, Crema. Based on what kind of beans you use (example: single origin or blends) will result on the level of taste and those three layers. Your climate and region will also play a part into this result. Oh and don’t forget water purity. So yeah- its a lot and can be exhausting. Constant practice to create the perfect espresso shot is not only costly but also time consuming. Most of the time, most baristas look for key traits within the shot and adjust from there. Perfection in an espresso shot is a hard thing to grasp from time to time. Its not that coffee workers “settle” for average. It is beyond that. It is seeing what has been given to them, with the knowledge that they have and adjusting where needed to create a shot of espresso that is palatable and on par. Though not perfect, which we already saw as objective to each person, the shot of espresso will be the very best it can be in that moment. Growth in how to adjust both machine and bean will add to getting better, of course. This is a must. A life- long learn and discoverer process. If we take a look at life, people crave attention and then pass it off as “I don’t know why I am doing this” or even better “it doesn’t matter or I don’t have an end goal to this” is a passive aggressive attempt to minimize the feelings and thoughts that are within them. We all do things out of “need”. Some are public, others are private. Social media has this way of showing “perfect” without showing the mess. Even those in a mess look perfect. Right?! We start measuring up to others and what they do and who they are and see ourselves as missing that “perfect” mark that they are hitting often. Its only in a good, health and open community where perfection is stripped away and the reality of messy is available. A weight is lifted, freedom is found and “my best” is celebrated. You are not settling for “average” or “normal”- which if you think of that those definitions can be subjective based on a person’s outlook and upbringing. You are moving forward away from what drives you and those around you crazy! You are moving away from perfection and into enjoyment of life. Perfection is an illusion people chase. Rather, aim to chase the realities of becoming better in all aspects of your life, to be a life long learner. To share that with others as they learn and grow. Together you will create a life system that is the best and most enjoyable.